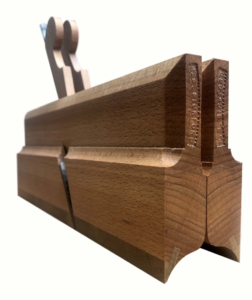 Ideally, a snipes bill will be the first molding plane to touch most of your work. This plane, with its acute edge, is used initially for following and defining the gauge line for a rabbet plane to follow. Only a few passes are necessary before moving on.